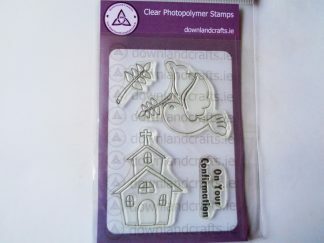 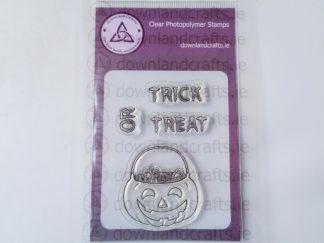 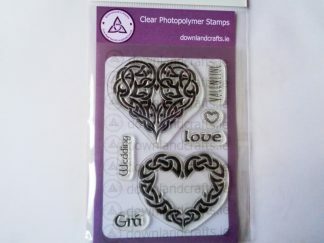 A6 size pack containing four unmounted clear photopolymer stamps. 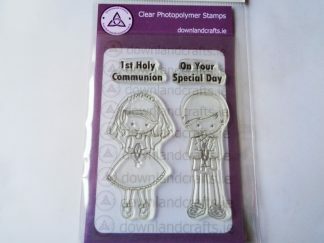 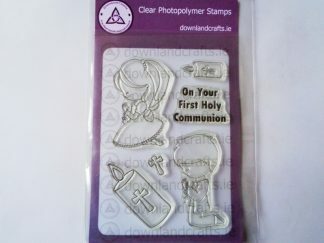 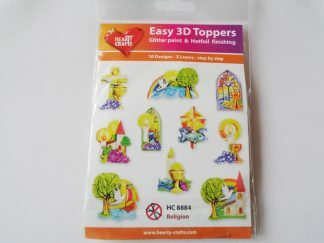 The stamp designs include a standing girl praying stamp, a standing boy praying stamp, and two greeting sentiment word stamps which read ‘1st Holy Communion’ and ‘On Your Special Day’. 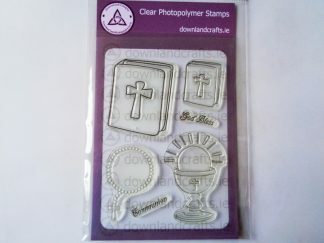 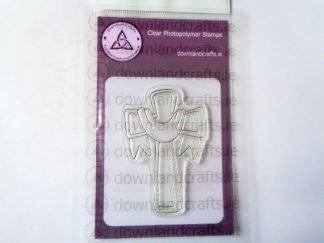 The stamps in this clear stamp set are perfect for confirmation cards.